• Ate fresh raw tuna off the edge of a gutting knife while battling sea-sickness on a fishing boat. 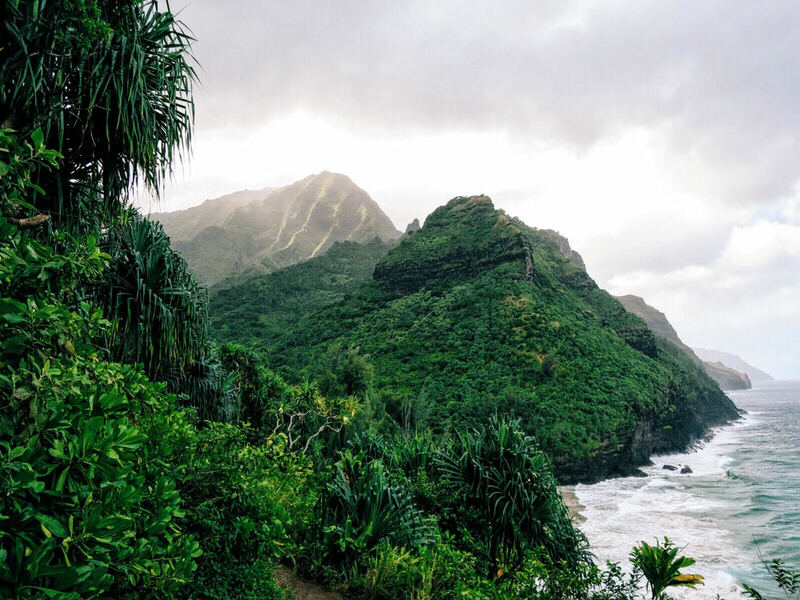 • Hiked some of the most beautiful trails (along the Na Pali Coast) that I've ever encountered. • "No doors" helicopter ride around the island of Kauai. • Tempting fate (& possibly flooding the engine our Jeep) while crossing a stream en route to the Jurassic Park Gate.